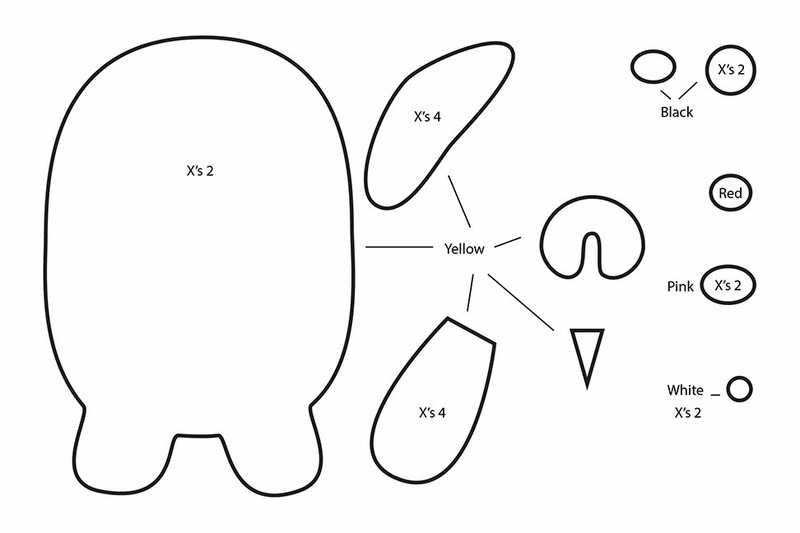 How to make a plushie : This weeks plushie tutorial is on Jake the dog from the Adventure Time animated series. 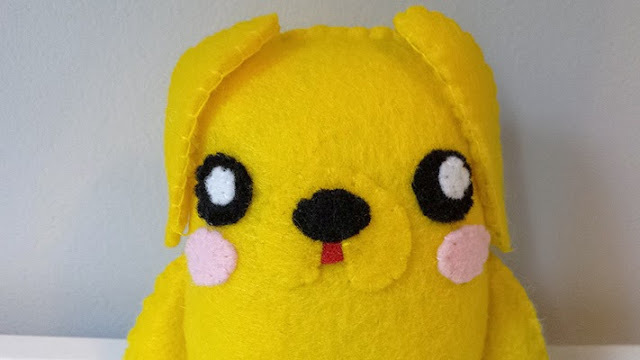 The loveable companion of Finn, Jake is made uber cute here in plush form. 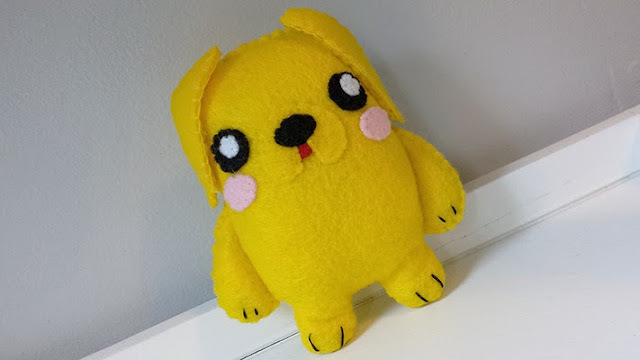 Jump into your very own sewing adventure and make yourself a Jake! I guess you can say I made Jake as kind of a chibi in this plush form. But He is always cute and loveable. Who wouldn't want a best friend that is as cool as Jake? 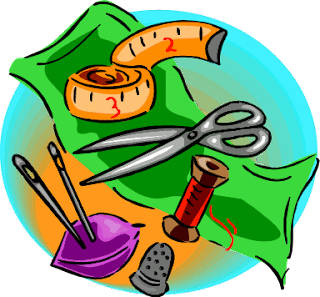 Now you can make your very own! Adventure Time is such an awesome animated series. I just love the characters and Jake is no exception. 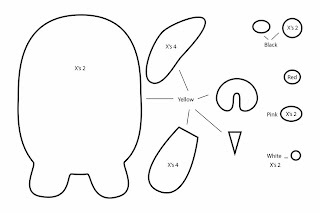 He doesn't stretch as a plushie but he can be as squishy as you want him to be. 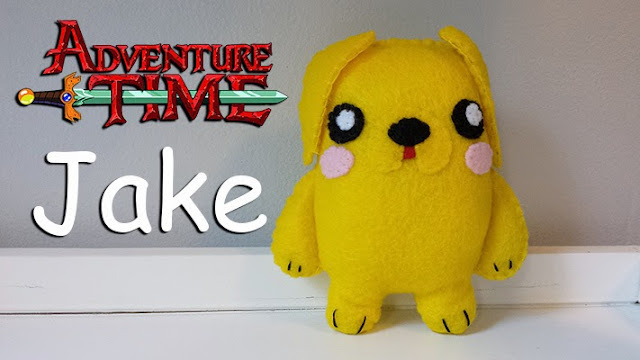 Cuddle up and enjoy your Jake plushies. Inbox me if you have any questions.